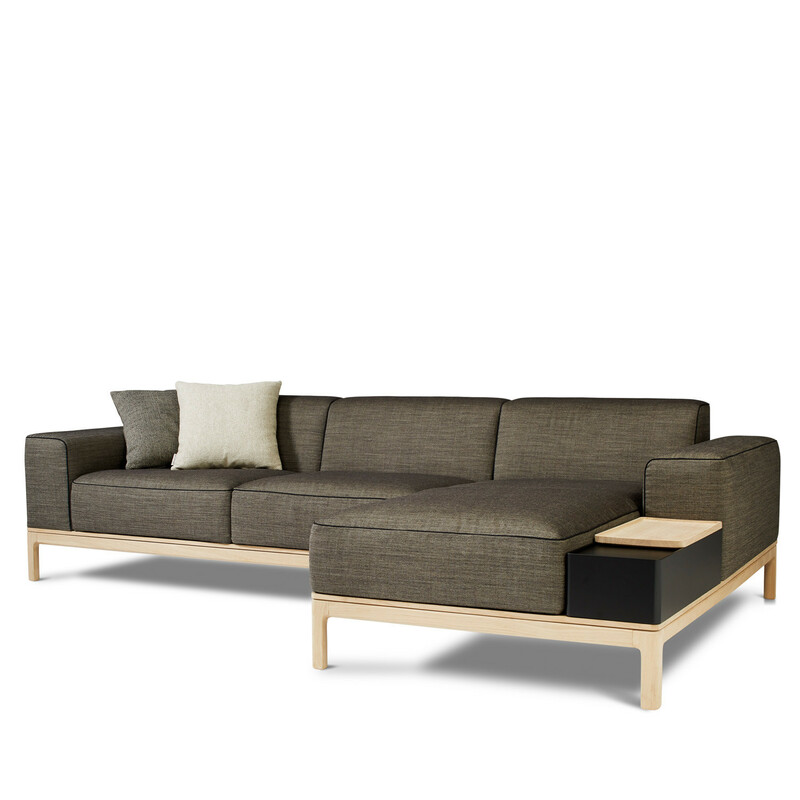 EJ 500 Lagoon Sofa concept was designed by Danish/Icelandic design duo Welling/Ludvik. The Lagoon sofa provides a comfort, which, metaphorically, is comparative with sliding into a beautiful blue lagoon because of the powerful and soft upholstery of the sofa. The proportion of the Lagoon sofa is done in a way so it possesses a nice up-right seating comfort, and on the other hand also gives the possibility to drift into the large and very comfortable cushions, which have a good and stabile inside foam core. The Lagoon sofa and all its magnificence is with a visible oak base, appearing like seat, arms and back was placed on an oak batten. Legs are in solid oak. This makes the frame more visible and gives it a more exclusive look. The design is therefore very much of what we see customers want today, that being visible wooden solutions, naturalness and simplicity. 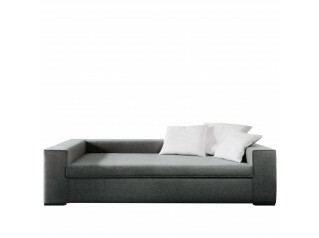 The “Lagoon” is designed as 2 plus 3-seated sofa and as chaise longue. 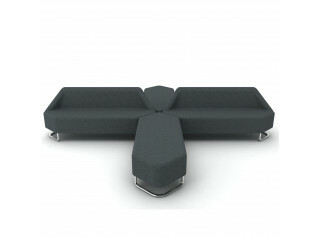 The chaise longue is shaped with a small table tray for teacups, newspapers or the remote control. The table tray is reaching out under the seat cushion, very elegant. The customer can also choose a solution with a beautiful magazine holder that is placed on top of the oak base and by that you have the top of the holder in same line as the seat. The “Lagoon” is offered with a variety of fabrics in wool and cotton. 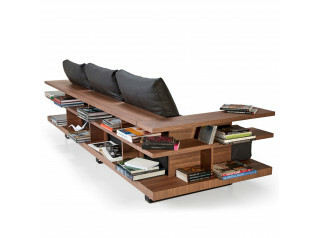 View more furniture fron Erik Joergensen. You are requesting a price for the "Lagoon Sofa"
To create a new project and add "Lagoon Sofa" to it please click the button below. 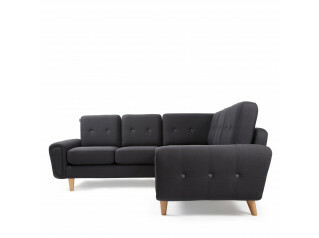 To add "Lagoon Sofa" to an existing project please select below.